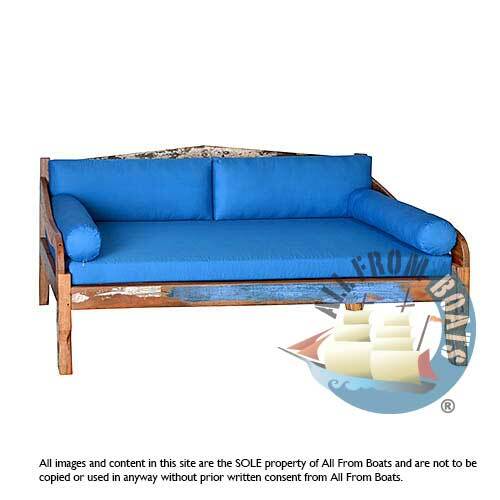 Sofa Beny / Daybed, knockdown, made from reclaimed boat timber. recycled, reclaimed boatwood furniture. shellac finishing. matress set: matress, 2 backlean cushions, 2 cushion roles, all available in assorted colors.